Published: December 04, 2014 00:41 By Mythily Ramachandran, Special to tabloid! 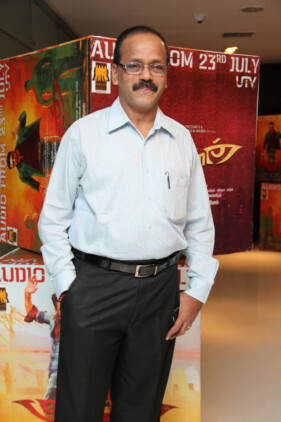 G. Dhananjayan’s new book, Pride of Tamil Cinema, will delight readers with information on Tamil films made since 1931. Listed in the book are 202 films that have either won national fame under different categories or were screened at the Indian Panorama of International Film Festival of India held since 1953. This is Dhananjayan’s second book, his first being The Best of Tamil Cinema. Pride of Tamil Cinema was released at the International Film Festival of India held in Goa this week. Dhananjayan, Chief of South Business, Disney India, said the idea for this book occurred to him while working on the revised version of his first book. Pride of Tamil Cinema, is the result of intense research. In the book, 163 Tamil films belong to the years between 1954-2013 and have won national glory.